Alex Rogalski is a 24-year old passionate pianist and avid baseball and college football fan. He has been playing piano since third grade, first being inspired to play after hearing Greg Maroney’s “Harmony Grove”. His inspirations include many new age, contemporary pianists such as Doug Hammer, Philip Wesley and Michele McLaughlin. 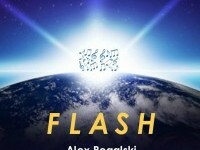 His first recorded album, FLASH, contains 14 solo compositions that seek to express the duality of darkness vs. light. As a young pianist, he is happy to have you listen and donate to the greater cause of bringing a light of grace and peace to the dark parts of our world in need of help.